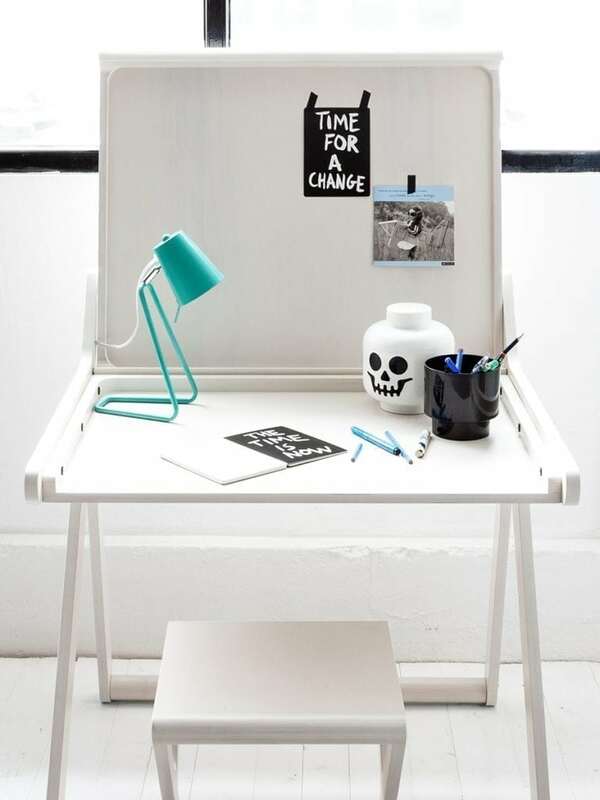 Do you wish to have a stylish working corner for your growing child or even yourself? 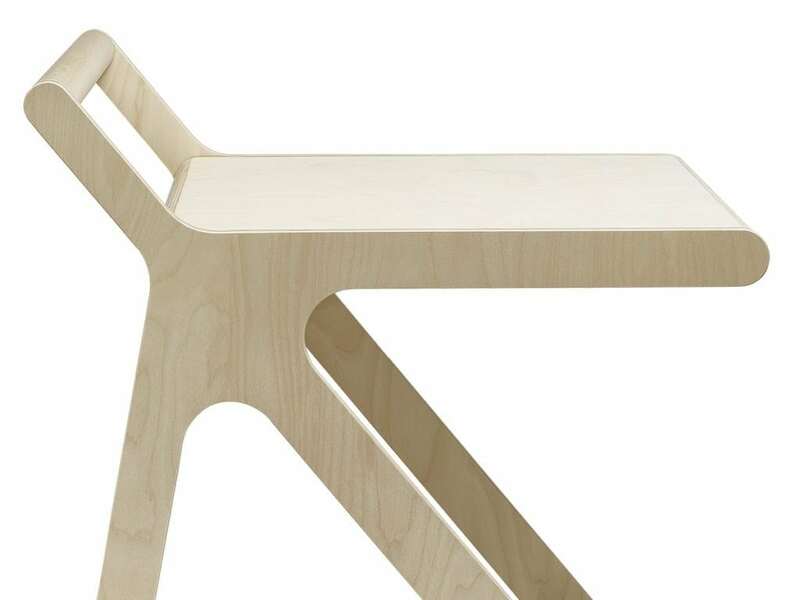 We have just something right for you. 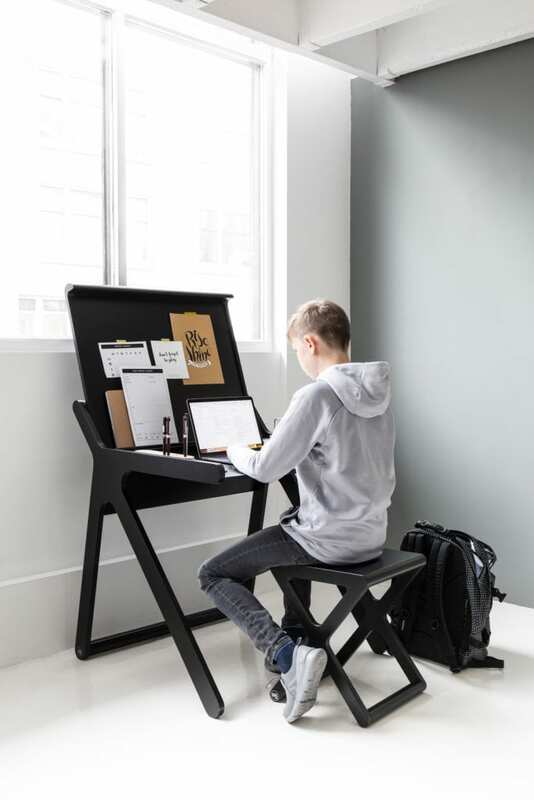 K desk is a full hight desk for young adults and grown-ups. Keep the desk neat and stylish hiding all your creative mess under the soft closing lid. 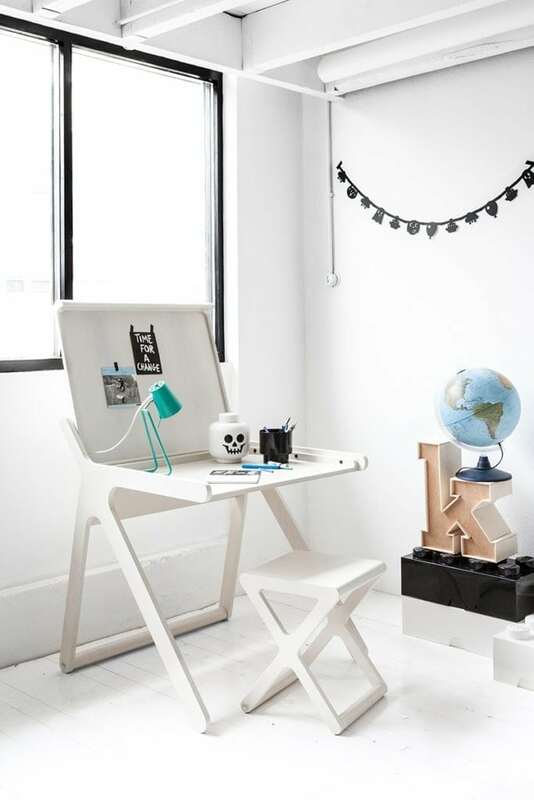 The desk is a real eye-catcher and a statement in any space. 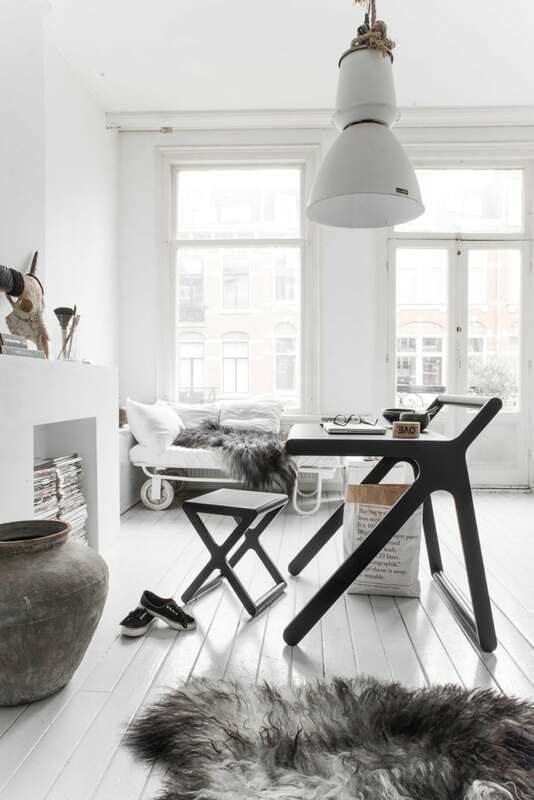 We ship it these weeks free worldwide and with a stunning gift: matching X stool to complete the set! 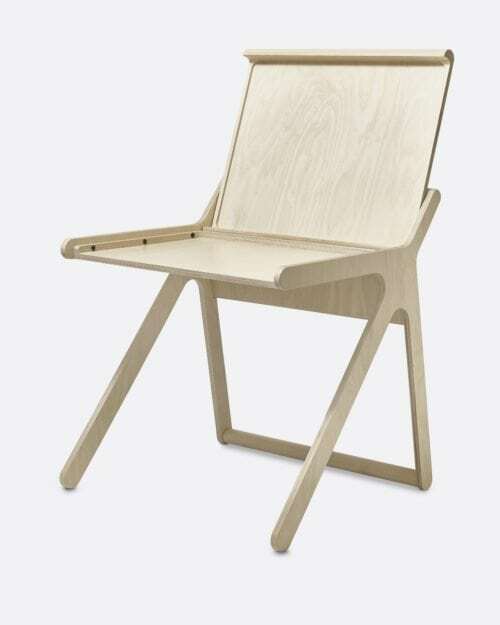 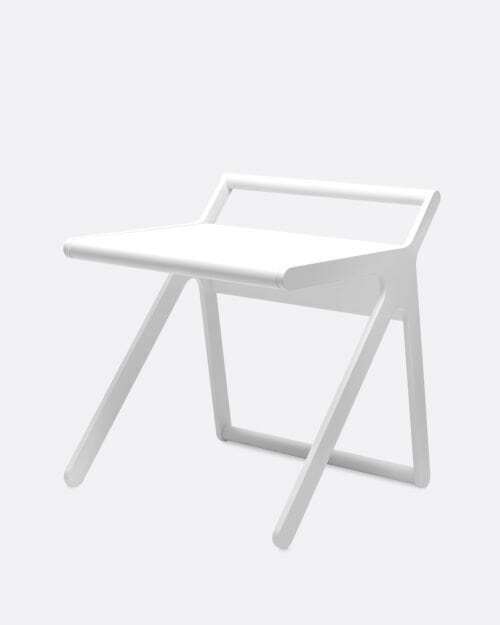 Rafa-kids K desk can be set in two different positions: open and closed. 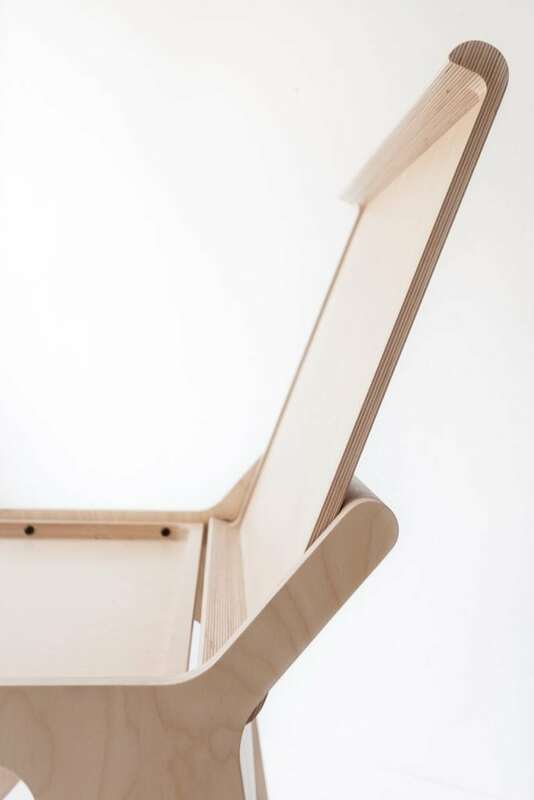 When closed, the furniture is clean and elegant. 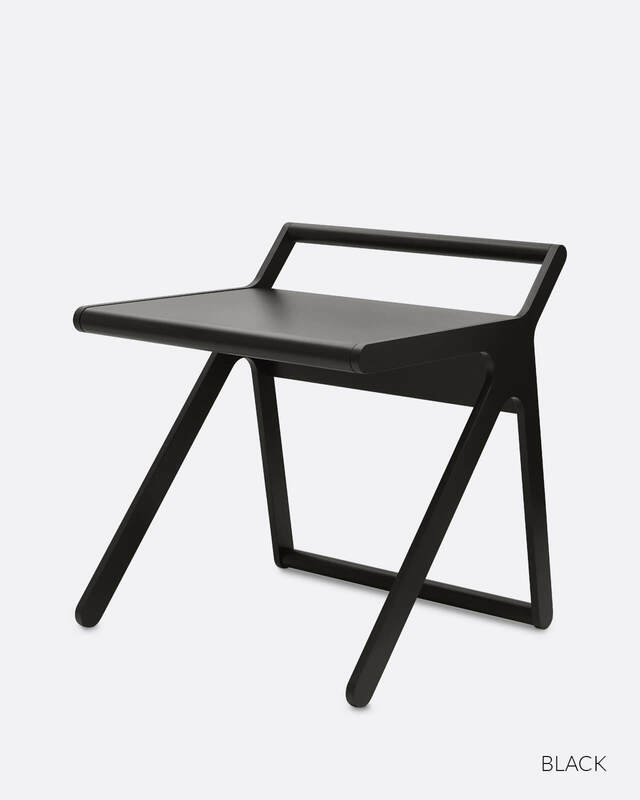 Once the lid is lifted you discover another layer of the desk with rounded corners and a hidden organizer. Perfect place to put notebooks, iPad or little toys and treasures. 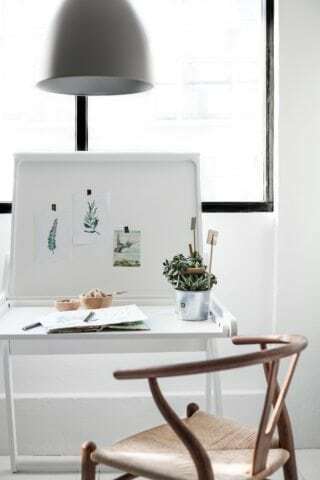 The vertical part is a good exhibition space for drawings, photos or important messages. 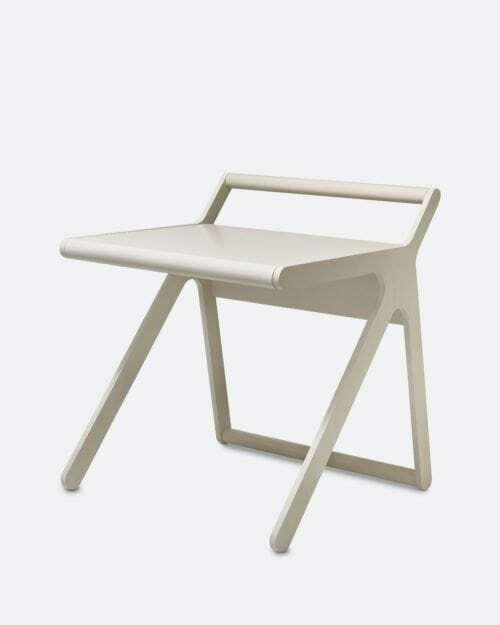 We have put great attention to the detailing of our K desk. 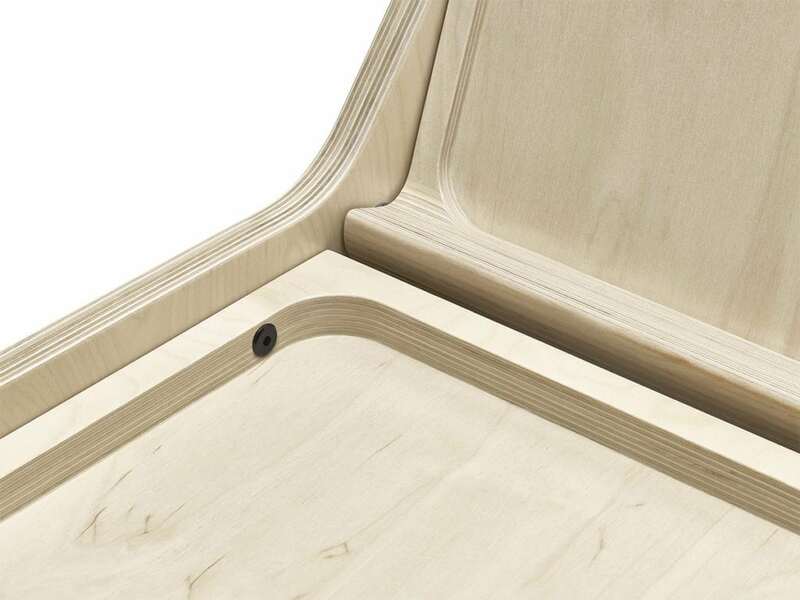 You will see no screws or connectors outside. Closing the lid is yet another experience. Completely hidden dampers are softly closing the lid protecting children’s fingers from being shut. 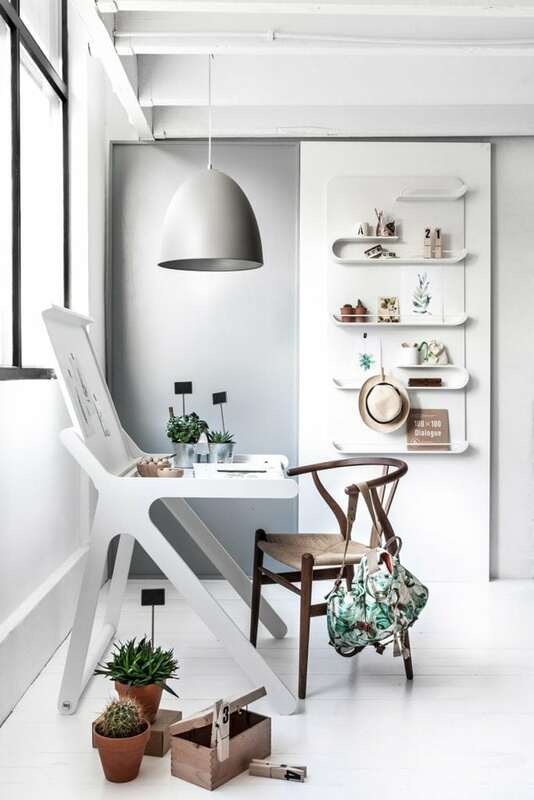 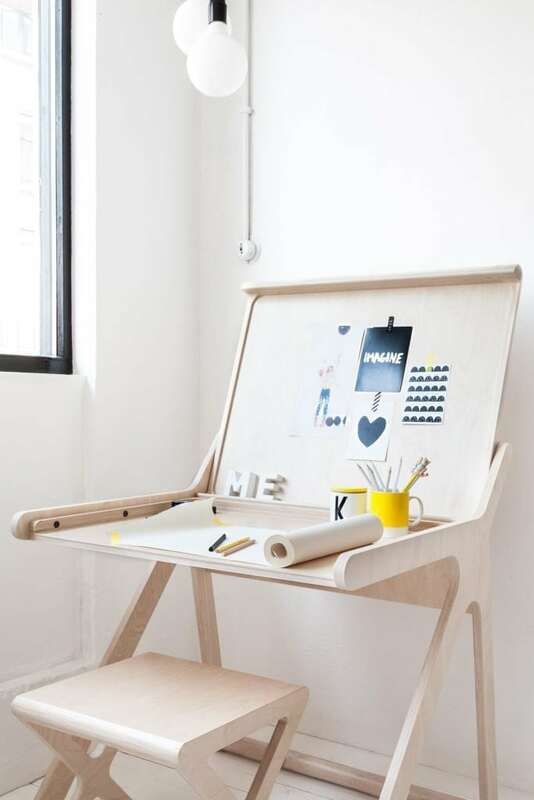 The desk is made from Finnish birch wood and plywood and available in a natural, whitewash, white and black finish. 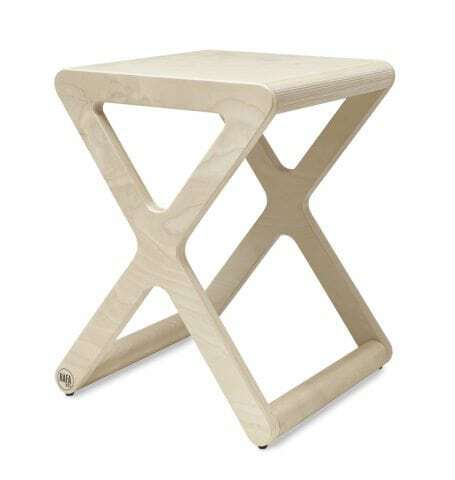 I finally purchased the K Desk and X Stool in the Whitewash finish, after a few years of contemplating on it!! I’m pleased to say that the high quality and finish on these items really meet expectations, you are getting a quality product for the price paid. 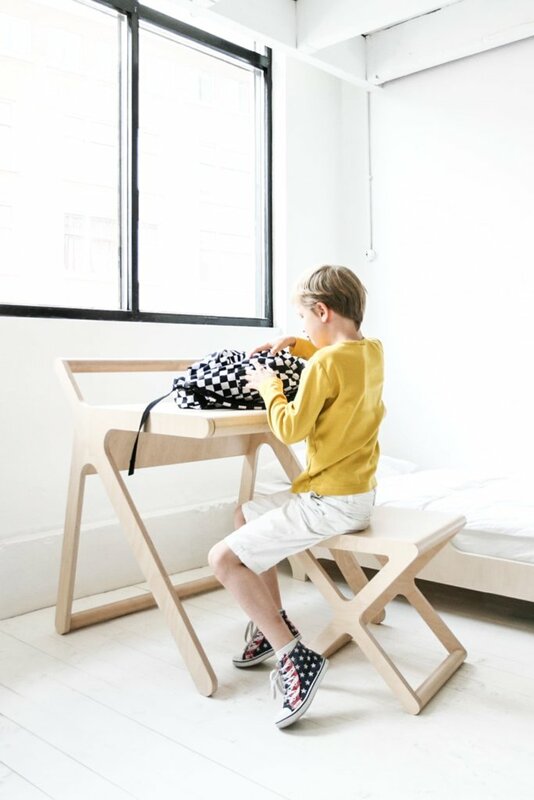 The desk goes perfectly with X stool from Rafa-kids. When purchasing the set there is a small price reduction.